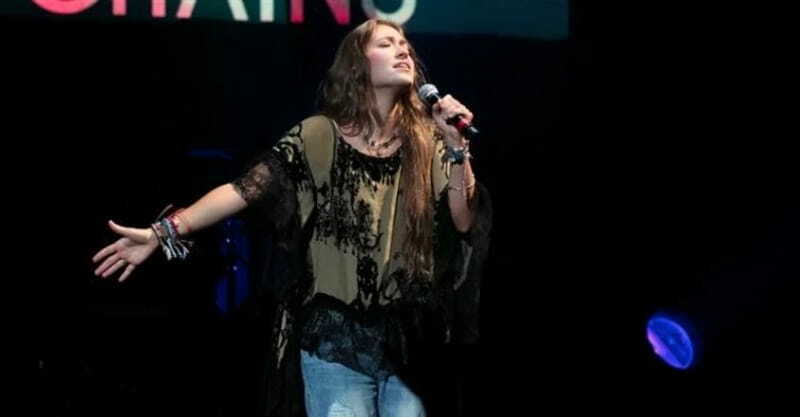 Christian music fans have been fans of Lauren Daigle for a while now. But the two-time Billboard Music Award winner is attracting even more attention with her newest album, Look Up Child. This week, this beloved Christian singer is beating out secular pop, rap and rock musicians for a spot at the top of the chart! This week the album, which sold 115,000 units, climbed to No. 3 on the Billboard 200 chart, surpassing popular artists like Ariana Grande, Drake, and Nicki Minaj. "Granted, the aforementioned musicians' records are a few weeks old while Daigle's is brand new. The might of Look Up Child‘s release rivals that of other top artists in the past," Rolling Stone reported. "I'm incredibly grateful for how well people have connected with Look Up Child," she told RollingStone. Biggest Christian music album of 2018. Biggest traditional sales frame of any Christian album in nine years. Best debut sales for a Christian female artist in 20 years. RollingStone went on to say: "The album's success highlights something broader, however: the deep persistence of Christian music in the U.S. audience - an aspect of music consumption that has been largely skipped over by headlines proclaiming rap as the sole driver of modern music in America. While rap and R&B have indeed risen to become the leading genre of music consumption, Christian music remains a sizable minority mass. Solid numbers are hard to come by, but at its annual conference in 2015, the Gospel Music Association reported that 68 percent of Americans had listened to Christian or gospel music within the last 30 days." Even before the album reached No. 3 on Billboard, it was garnering buzz among music industry influencers. When the title track of Lauren Daigle's newest album, Look Up Child, released in late August, people took notice. Relevant reported that Zane Lowe, a radio industry tastemaker, selected Daigle's single for the "World Record" pick of the day on his Apple Music show, Beats 1. Listen to the title track here, then go check out more from Lauren Daigle on GodTube!